Ahoy! 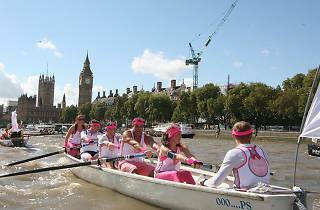 London's annual river marathon sees over 300 international crews compete to become the UK's Traditional Boat Champions. 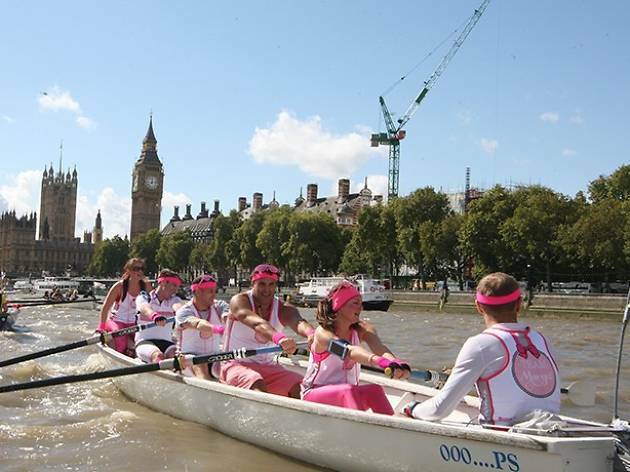 Participants in The Great River Race range from serious athletes to recreational rowers in fancy dress. It's a spectator's dream watching the motley crew of boats charge down the river, there's gigs, skiffs, Chinese dragon boats, Hawaiian war canoes, Viking longboats, Irish curraghs, shallops, wherries and whalers. For 2018, the race starts at Millwall Slipway, E14 at 10am and finishes at Ham House, Richmond, TW10 where food stalls and live music awaits. You can follow the race for free along the route or buy tickets to watch from the Viscount passenger boat.